Thursday, April 25, 2019. Race begins promptly at 6:45 p.m. COST: Entry fee is $42 per participant. No registrations accepted after March 20, 2019. 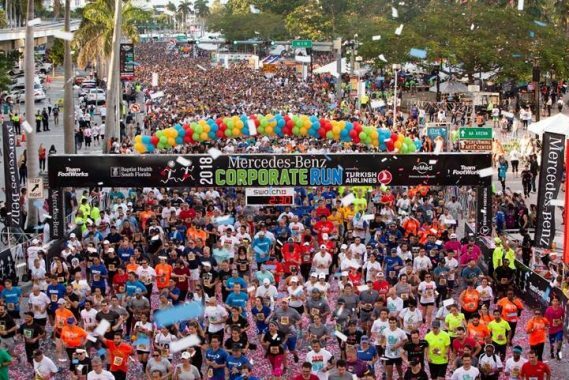 INFO: For registration information, please contact TeamFootWorks at (305) 666-RACE (7223) or visit www.mercedesbenzcorporaterun.com, www.facebook.com/MercedesBenzCorporateRun or www.teamfootworks.org.